Is Harry Potter and the Deathly Hallows the first Potter film you will see? Or do you fancy a recap of the story so far? Read on to prepare yourself for Harry Potter’s latest adventure! Harry Potter is an orphan. His parents (two of the world’s best wizards) were killed by evil Lord Voldemort but when Voldemort tried to kill Harry as well, his killing curse rebounded and reduced the evil wizard to a weak, half-life like form. Voldemort then disappears for a decade. Harry is left to be raised by his despicable Uncle and Aunt, the wizarding world believing that Voldemort is gone forever. 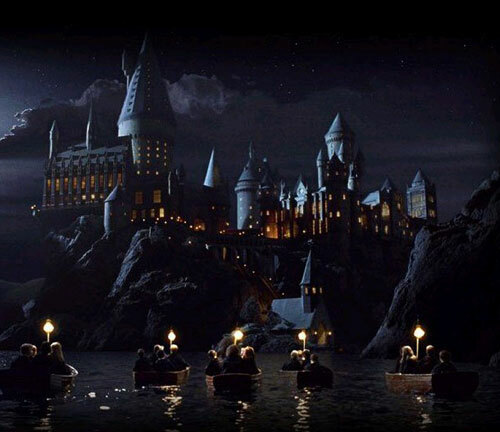 At the age of 11, children with wizard powers are invited to a special school – Hogwarts – to train and learn about their special gift. It is here that Harry meets Hermione and Ron, the two children who would become his best friends and closest allies in the battle against evil. !! 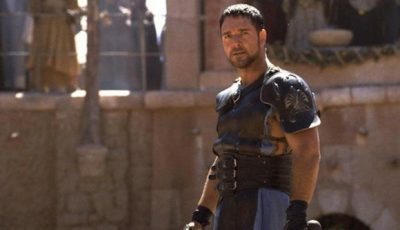 !SPOILERS AHEAD FOR THE FIRST SIX MOVIES!!! 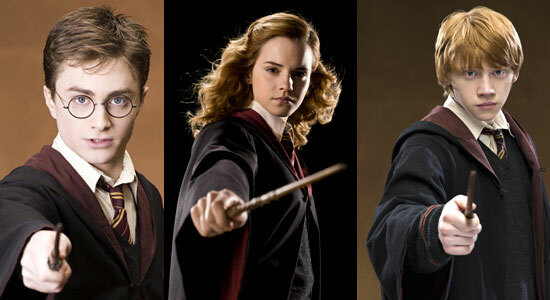 Hogwarts’ ace wizarding pupils and best of friends, these three band together to fight evil Lord Voldemort. Harry’s allies from Hogwarts, fellow students Ginny, Fred, George, Luna, Neville and several others join Harry’s army. Fred and George, Ron’s older twin brothers, are two powerful and talented wizards. Neville has a similar personal reason why he wants to defeat Voldemort. Professor Dumbledore is the most knowledgeable of all wizards but succombed to the double-crossing Professor Snape and is killed at the end of Half-Blood Prince. 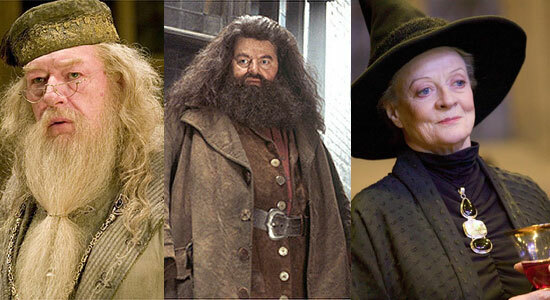 Hagrid and McGonagall remains loyal to Harry’s cause. 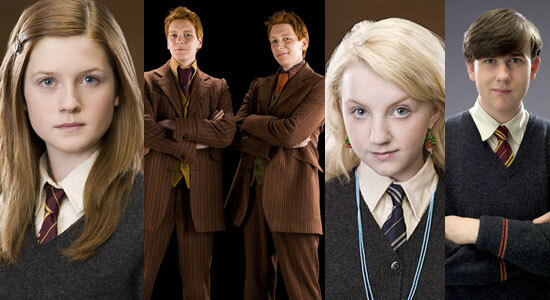 Members of the Order of the Phoenix, a group of good wizards, set-up to protect the wizard and muggle worlds from evil. Voldemort is eager to kill Harry Potter, the only wizard powerful enough to stop him ruling the world. 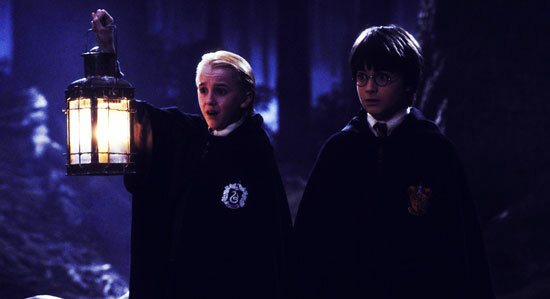 He is helped by Hogwarts’ teacher Professor Snape and young bully Draco Malfoy. Bellatrix is one of the craziest witches and devout follower of Voldemort. 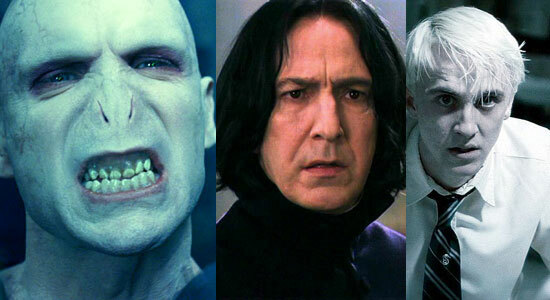 Lucius Malfoy is Draco’s father, a scheming wizard who cares not for his family, only his stature within Voldemort’s army. Peter Pettigrew double-crossed Harry’s parents and was directly responsible for their deaths as well as Cedric Diggory’s. Harry Potter (Daniel Radcliffe) goes to Hogwarts school of Witchcraft and Wizardry for the first time. He meets Hermione Granger (Emma Watson) and Ron (Rupert Grint), learns how to play Quidditch (a game involving flying about on broomsticks that is a cross between football and rugby), and has his first battle with Lord Voldemort. Voldemort has devised a way to partly come back to life by way of attaching himself to one of the school’s teachers Professor Quirrell. If he can get the Philosopher’s stone then he can regenerate fully. He tries to coax Harry into giving it to him but Harry refuses. He kills Quirrell inadvertently by touching him, causing Voldemort’s spirit to flee. The Chamber of Secrets has been opened! Yes, even if you’ve seen the film you won’t really know what it all means in this convoluted episode of the Harry Potter story. 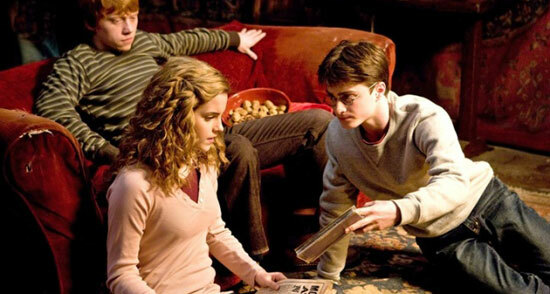 Harry, Hermione and Ron all return to Hogwarts for their second year, where Harry discovers a mysterious diary that belonged to Voldemort when he was a young student at Hogwarts. Harry learns of Voldemort’s past and begins to understand just how powerful and dangerous a wizard he is. Through the diary, where Voldemort hid a peace of his spirit – known as a Horcrux – he comes back to life in the body of his teenage self. But he is still weak and Harry defeats him once again when he kills the snake serpent summoned by the evil wizard. 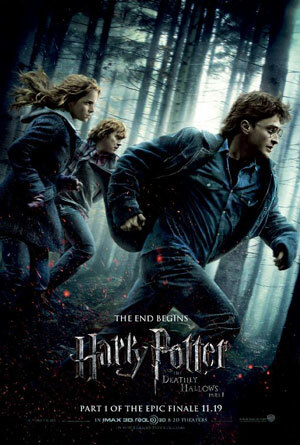 Harry returns to Hogwarts for his third year, this time under the protection of the mysterious Dementors who are defending the school from the escaped convict Sirius Black (Gary Oldman). But Black isn’t the one they have to fear. Harry learns more about his past including the fact Sirius tried to help Harry’s parents when Voldemort threatened them. Harry finds out that Peter Pettigrew, who Sirius was supposed to have killed, was in fact working with Voldemort and instead of killing Pettigrew, Sirius was trying to protect Harry’s parents from him. Pettigrew is in fact not dead and returns only to escape and rejoin Voldemort’s band of evil followers. The episode that introduced the world to Robert Pattinson! Harry joins four other young wizards in the Triwizard Tournament – a series of challenges that pit the skills of each wizard against various foe. At the beginning of the film the Death Eaters – Voldemort’s band of evil followers – attack the Quidditch World Cup, alluding to the fact Voldemort is getting stronger. At the end of the film, Harry, and fellow contestant Cedric Diggory (Robert Pattinson), are transported to a secluded graveyard where Voldemort appears. Voldemort kills Cedric but the spirits of Harry’s parents arrive to help Harry escape. Harry returns to Hogwarts with the news that Voldemort has returned and that Cedric Diggory has been killed. No one believes his story. 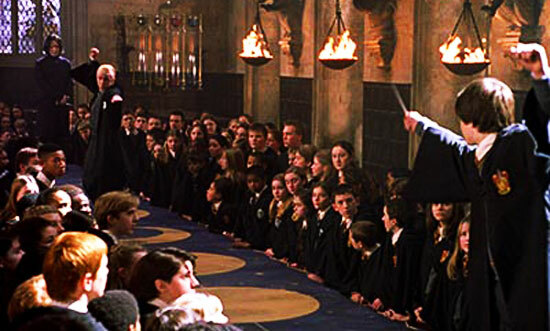 The death of Cedric Diggory and Harry’s possible involvement in the death is hot on the agenda at the Ministry of Magic (essentially, the government for wizards and witches). The Ministry of Magic denies the possibility of Voldemort’s return, believing him to be dead. Dumbledore (the headmaster of Hogwarts) supports Harry’s story. Some of the students at Hogwarts disbelieve Harry’s story causing divisions at the school headed by bully Draco Malfoy (Tom Felton). But Harry’s closest allies including Hermione and Ron join forces with others that remain loyal to him and begin learning the skills to defeat Voldemort and his army. These skills are put to the test when Harry, Hermione, Ron, Luna, Neville and Ginny go to the Ministry of Magic to save Sirius who they learn is in trouble. 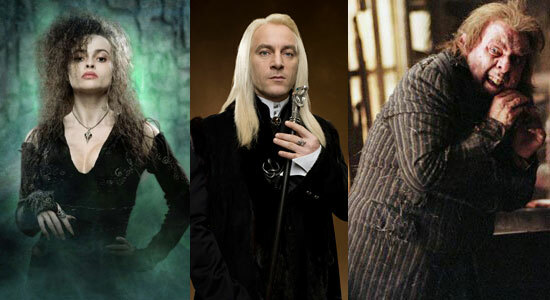 They battle with the Death Eaters including Draco’s father Lucius (Jason Isaacs) and the psychotic Bellatrix Lestrange (Helena Bonham Carter). 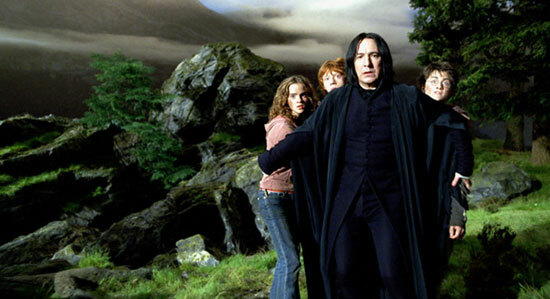 The Order of the Phoenix – a team of good wizards set up to battle Voldemort – arrive. 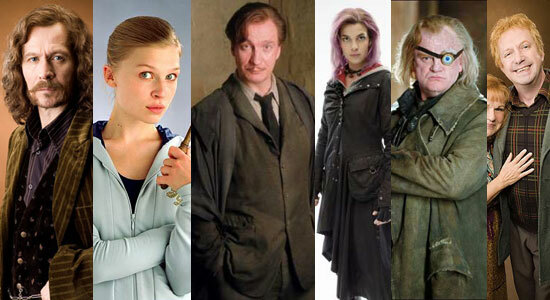 The Order includes Sirius Black, Remus Lupin (David Thwelis), Alastor Moody (Brendan Gleeson), and Nymphadora Tonks (Natalia Tena), amongst others. 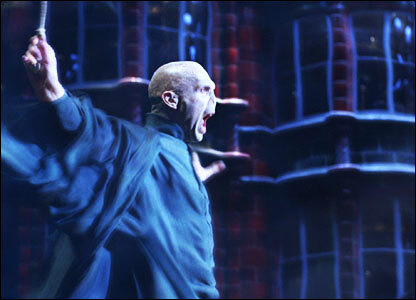 Voldemort arrives too and battles Harry and the others. Sirius is killed by Bellatrix. In a moment of rage Harry takes on Voldemort himself only to be injured before Dumbledore (Michael Gambon) appears and fights Voldemort. When members of the Ministry of Magic arrive on the scene and see that Voldemort has indeed come back from the dead, Voldemort escapes. Voldemort and his Death Eaters are causing havoc in the wizarding and human worlds (humans, or none wizards/witches, are known as muggles). In order to help Harry understand how to defeat Voldemort once and for all, Dumbledore begins to show Harry a series of past events. These events show how Voldemort rose to power. Dumbledore reveals that Voldemort has managed to split his life force into several hidden objects known as horcruxes. To kill Voldemort, Harry must find each and every Horcrux and destroy them. Dumbledore and Harry set off together to destroy one of Voldemort’s horcruxes. While they are away Voldemort attacks Hogwarts using Draco’s help. Draco is tasked to kill Dumbledore but cannot do it so Professor Snape enters and kills Dumbledore. Mourning Dumblerdore, Harry, Hermione and Ron vow to continue Dumbledore’s search, to find the remaining horcruxes and destroy Voldemort for good. 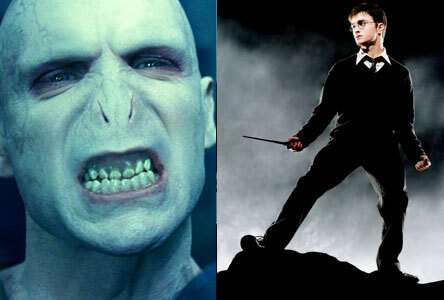 Voldemort has killed Harry’s parents, his uncle Sirius Black, his friend and tutor Dumbledore, and others. Now Harry is stronger and wiser. It is time for him to exact his revenge – but will Voldemort be too powerful? And who will be sacrificed along the way? In order to gain revenge and destory Voldemort for good, Harry, Hermione, and Ron have to discover and find each of Voldemort’s horcruxes. Basically, Voldemort has immortality as long as a piece of his life-force remains hidden in an object, known as a horcrux. These horcruxes must be found and destroyed. But they could be hidden anywhere and in anything. Our three heroes will begin their search in Deathly Hallows Part 1. 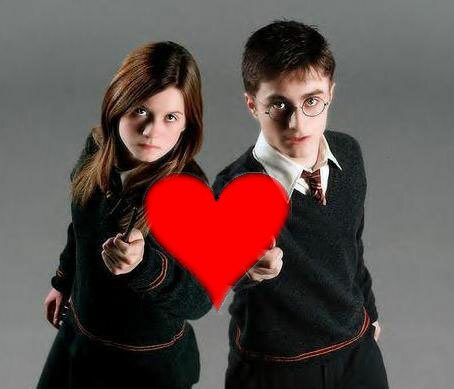 Will Harry and Ginny survive so that their mutual love for one another can blossom into romance? Will Ron and Hermione finally get together? For a long time, Harry had reservations about the secretive Professor Snape, believing him to be working with Voldemort and the Death Eaters. But he was always told by Dumbledore that Snape was to be trusted, despite evidence to the contrary. Harry’s accusations were proven when Snape double-crosses Dumbledore and kills him. In doing so, he helps school bully Draco Malfoy escape and join the Death Eaters. 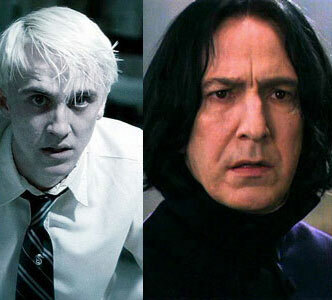 But there are still question marks about both characters – is Snape playing for both sides and for what reason? Did he really kill Dumbledore? As Draco’s conflicting alliances muddle his own hatred towards Harry, will he finally see that his father has influenced him down the wrong path? 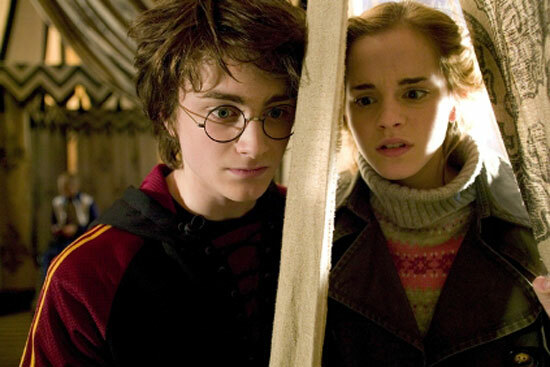 These two characters will provide the most interesting resolutions in Deathly Hallows. There will be a final showdown at Hogwarts between Voldemort and his army of Death Eaters and Hogwarts’ teachers and the Order of the Phoenix. Who will triumph, and what will be left of the school? to be honest, I hated the romance in Harry Potter – but that’s because I’m biased. I really think JK should’ve given it up for the sake of the movies to try and develop Ginny a little bit more than she did in her books. I actually “figure out” what was going to happen with numerology hahaha, it was all fine until JK Rowling decided to change Hermione’s birth date, which modified the numbers a bit. I suspect Phoenix the film ranks low because it was one of my fave books, and it was such a long book that I was expecting the movie to be a bit longer. Not like a massive 3hr film, but definitely expected it to be the longest of the films, not the shortest. I agree that Phoenix was a good film but it could have been given the two-part treatment just like Deathly Hallows (which, to be honest, didn’t need it). I’ve actually only read Half-Blood Prince and Deathly Hallows. I was very disappointed with Half-Blood, as I was with the film. It was just too full of exposition and flashback and felt like Rowling was stalling until the final showdown in Deathly. Deathly Hallows was much better and should make for a couple of really great Harry Potter movies. My film ranking is as follows: Azkaban, Goblet, Phoenix, Philosopher, Chamber, Half-Blood. Thanks for the catch-up, Dan. To be honest, I’ve never been that interested in the Harry Potter franchise. I still haven’t even seen Half Blood Prince. This guide will be handy if I end up seeing the next one without seeing the last one. If you take my meaning. @Richard: To be honest Half-Blood Prince was my least favourite and I don’t think you need to see it before Deathly Hallows apart from a couple of plot points highlighted above. It was a weak film and weak story in my opinion. Too much exposition, it felt like a stop-gap before the final showdown in Deathly Hallows. But I do think the final two films will be good. The book was a pretty exciting read. I’ve never read any of the books, so I can’t base my thoughts of HP on any kind of book/film comparison. I do think each film has generally been better than the one before it, although I had a problem with the episodic nature of Half-Blood Prince – Michael Gambon makes a great replacement for the late Richard Harris, if I may say so. Great way of bringing folks up to speed Dan! Well done! This is a nice summary. I only watched HP 1 till 5. I stopped watching because I was too dissapointed with the last book. I wish I can make myself walk in to cinema again to watch HP but it’s really difficult to do it. @Rodney: Cheers Rodney. I agree about Michael Gambon. I have only read two of the books and didn’t think much of either Half-Blood Prince in either its cinematic or literary form. @Novroz: Half-Blood Prince was a let down for me. Rowling’s worst book and quite pretentious. The story didn’t need it and most of what was in that book could have been incorporated into Deathly Hallows in a more concise form. Solid piece. This’ll help me as I haven’t read all the books. I saw the first HP at the cinema when I was just a little boy and I’m entering the movie this wednesday as a man. Nine years has flown by, I’ve had the time to both enter and leave teenage. Me entering the movie this time is like closing an open circle. It feels special. Me and Harry has grown up together. A shame it’s divided into two though. 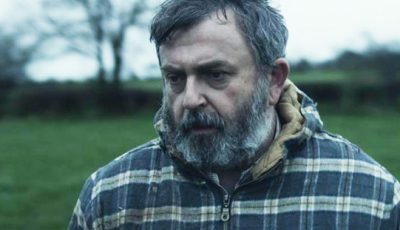 Makes the first final film less intresting, especially given the fact you know you have to wait for the final final end. I’m not a fan of any of the romance in the Harry Potter films, it’s handled in such a juvenile way. Rowling has a way with magic but she can’t put the magic into her romantic sub-plots. This has unfortunately continued in the movies. I liked Pattinson in Goblet of Fire. He would have made a good ally if he hadn’t succombed to Voldemort’s terror at the end of the film. @Fitz: Cool. Best thing to know are the key upcoming plot dilemmas and you’ll be all set for Deathly Hallows. @Pladd: Thanks for visiting the site Pladd, and thank you for the comment. It is a shame they’ve split the book into two simply because I’d love to see the final showdown this week. But by next year when the final film comes out, I think we’ll all be happier with two movies rather than one. It’s a good book and although others could have done with a two-parter too (Order of the Phoenix perhaps? ), Deathly Hallows Part 1 and Part 2 should be great. @Olive: Hi Olive. When Harry Potter first came out I was very ambivalent to the whole thing. 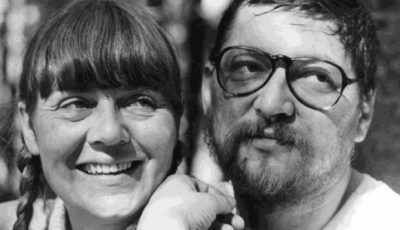 The first couple of films were released close to the Lord of the Rings films, and I was in that LOTR camp – The Beatles or Elvis! – believing Harry Potter was fantasy for three year olds and LOTR was for grown-ups. 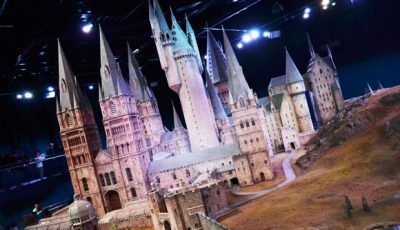 But having eventually seen my first Harry Potter film one Christmas on TV – it was Chamber of Secrets or Philosopher’s Stone, I immediately got into the whole story. 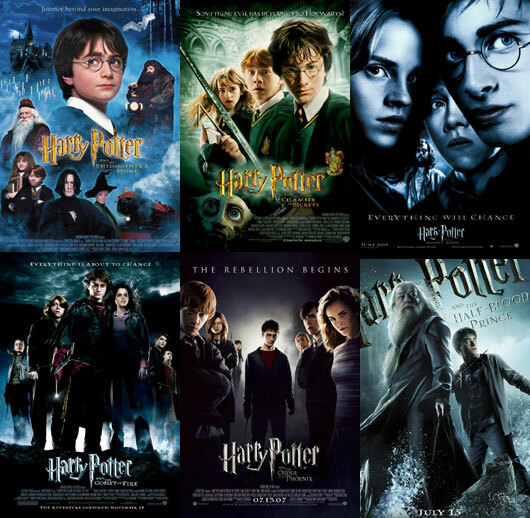 The films have improved with the best, in my opinion, being the middle three – Azkaban, Goblet, Phoenix – although Half-Blood Prince was a let down (but the book was weak too). The film’s have matured, as have the actors, and I think (hope) the final two films will be the best of the lot. Dan, I heard rumors… or comments? that Rowling realized that Book5 had taken its own course, and had to veer her characters back to her original ending. I haven’t seen all the Harry Potter films so this is perfect for me. I didn’t think much of Chambers of Secrets even though I loved the production design. But I did really enjoy Order of the Phoenix and to a lesser extent Half-Blood Prince. Prisoner of Azkaban & Half-Blood Prince have been the two best in my mind. But they’re both darker which explains my fondness for them. 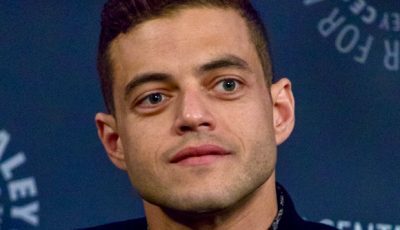 @rtm: yeah that is true – both Radcliffe and Pattinson both still seem quite down to earth which is surprising in some ways given their huge popularity. @Fitz: Interesting. Azkaban is my favourite, Half-Blood is my joint least favourite. @Jason: Order of the Phoenix is one of the best IMO. 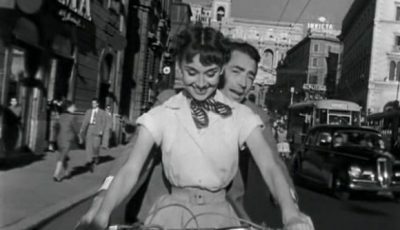 @amy: I’ve been reliably informed the film is good but couldn’t get to the press screening last week in London. Will be seeing the film very soon. I LOVE HARRY POTTER! Both the films and the books are brilliant and I wish there were more of them! 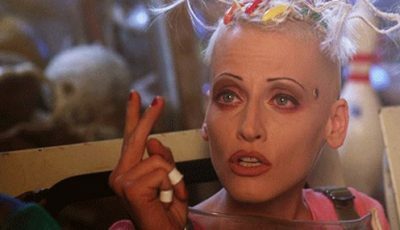 I havent seen part 2 yet, but I really want to! Did you know, during the filming they went through about 150 or so wands because daniel kept tapping them against his thighs during the different scenes! <– Thats what I've heard anyway! I really wish I could see the actors; it would be AMAZING! I know what I want for christmas now!